Mr. 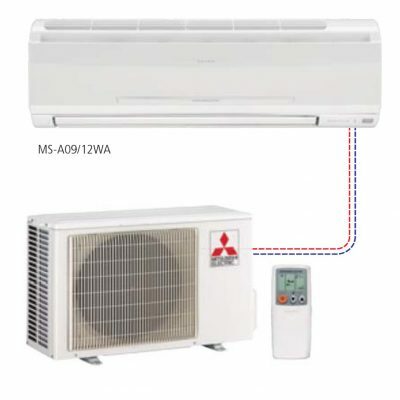 Slim is what Mitsubishi calls their Ductless Split Systems. 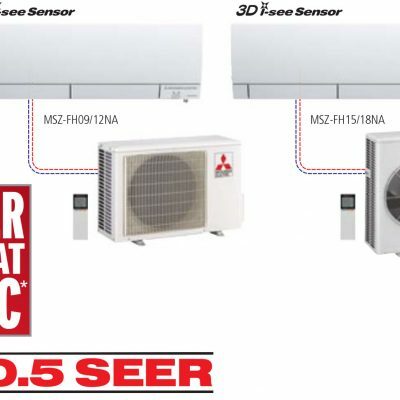 And what they offer is an almost endless array of combinations of inside and outside units that will satisfy all your ductless cooling needs, no matter how particular. Mr. 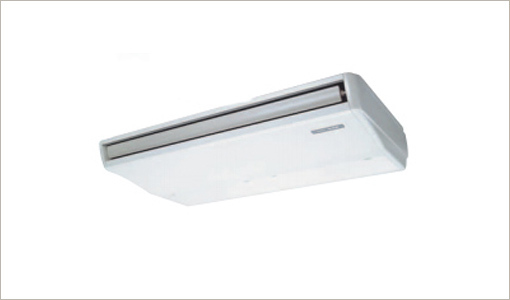 Slim M-Series is the ideal solution for homes and light commercial areas with varying needs and applications. 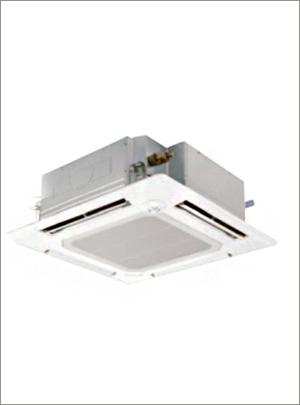 M-Series ducted and ductless systems are stylish, compact, quiet, attractive and secure. Advanced technology also means your Mr. 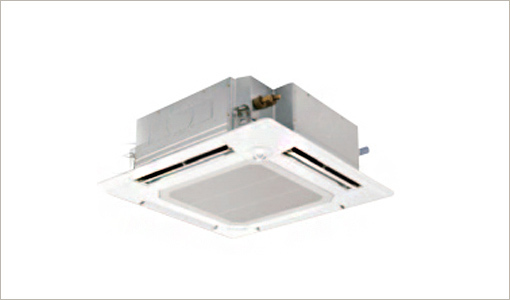 Slim split system will run more efficiently than a conventional unit, saving you from rising energy costs. 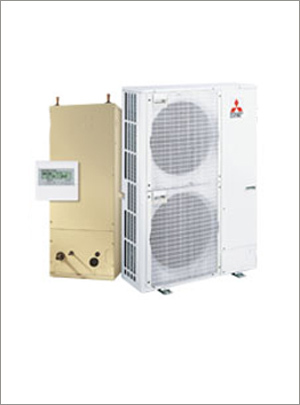 Our advanced Variable Compressor Speed Inverter (VCSI) Technology provides exceptional high-speed heating and cooling performance, energy-efficient operation, and most importantly, the experience of unmatched comfort. Conventional compressors work on cycles where the system starts up and stays at a fixed speed until it overshoots the set temperature, and then stops until the next cycle begins. This on-off cycle causes unnecessary energy spikes and also consumes high amounts of energy, regardless of the actual requirement, as the system is always producing the maximum amount of cooling or heating even when the demand is low. This results in a tremendous amount of wasted energy and uncomfortable energy fluctuations. 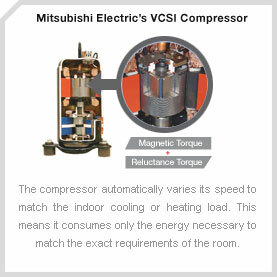 When a VCSI compressor initially starts up, it runs at a higher speed in order to reach the set temperature in a shorter period of time. Once the set temperature is met, the compressor slows down and automatically adjusts to the exact speed required to maintain the set temperature by detecting the subtle changes in the environment. The result is clear: less temperature variation and more efficient operation. This strategic “fast-slow” operation allows for less energy consumption as it minimizes the duration for which the compressor needs to run at high speed. Since the compressor dynamically reacts to maintain the exact cooling or heating needs under lower speeds, a minimum amount of energy is used and a more consistent temperature is maintained. 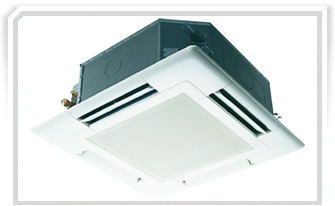 This intelligent temperature control feature adjusts airflow direction depending on air outlet temperature. It allows setting the temperature to be raised by 2 degrees without any loss in comfort for a 20% gain in energy efficiency. 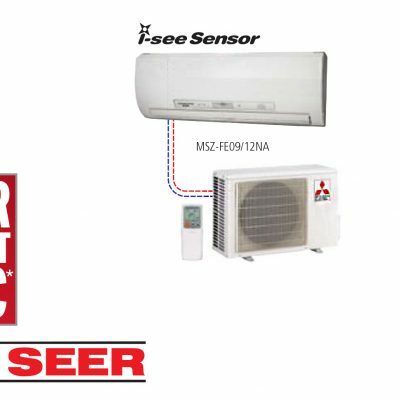 Available exclusively on the new FH series is the 3D i-see Sensor, an 8 element sensor that continuously analyzes the temperature profile of a living space to detect hot and cold spots. 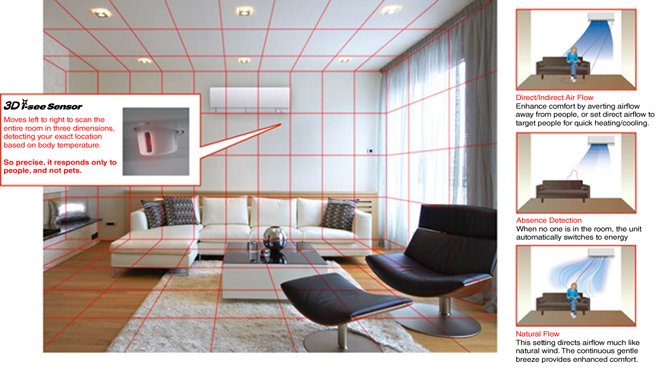 The sensor scans the entire room and divides it into 752 3-dimensional zones, measuring the temperature in each to detect the exact position of its occupants based on their heat signatures. With this thermal data, it then directs the perfect amount of heating or cooling towards those who need it most. The 3D i-see Sensor is so precise, it can even identify pets and responds only to people! Mr. Slim FE-model is equipped with the industryfirst i-see Sensor which measures radiant hot and cool spots in the room and focuses airflow to those specific areas. 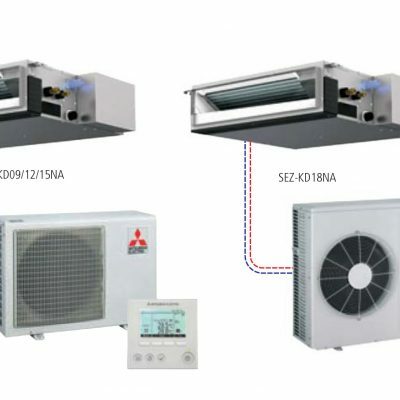 This intelligent system not only maintains air temperature, but also controls air movement and humidity levels to prevent excessive heating or cooling and unnecessary operation. As a result, you enjoy total comfort and less energy waste – something that conventional systems were never designed to do. Our easy-to-use Wireless Remote Control lets you adjust fan speed & output modes – from anywhere in the room. Mitsubishi’s Fuzzy Logic “I Feel” system adjusts conditions to suit you. By tapping the Too Cold or Too Warm button on the remote, the optimum temperature is set and memorized, recalling it whenever you turn on the air conditioner. This display can be switched to one of eight different languages: English, French, Italian, Chinese, Spanish, German, Russian and Japanese. Limiting the set temperature rangeSets upper and lower temperature limits to save energy and prevents excessive heating or cooling. 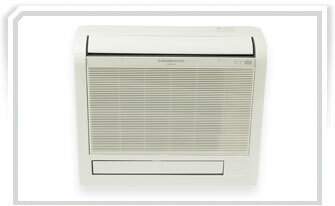 Auto Off TimerReduces wasted energy by turning off the air conditioner automatically. Preset times from 30 minutes to 4 hours in 30 minute increments. Lock Controller Operation Disables all buttons or operations on the remote control except for the On/Off button. Gain complete control over your energy usage with the weekly timer function embedded into the remote. 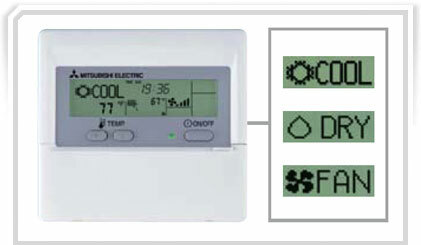 Up to eight different temperature settings can be programmed for each day. The remote control displays error codes to notify you when the system malfunctions. Each error code cross references to a troubleshooting table for easy diagnostics and servicing. Catechin Plus Air Purifying Systems consist of Catechin Pre-Filters and Anti-Allergy Blue Enzyme Filters which deodorize, deactivate allergens, eliminate bacteria and promote antiviral effects. Catechin is a bioflavonoid that is found in green tea, which is well known for its deodorizing, anti-bacterial and anti-virus properties. With our innovative technology, Catechin has been infused deeply into every molecule of the pre-filter to keep the air in your home healthy. Catechin Pre-Filters are washable and have a long lasting effectiveness for the lifetime of your system. This advanced technology provides significant improvements in IAQ, or Indoor Air Quality, which is one of the key factors in the staying healthy. “The need for clean air in our homes should not be underestimated. Canadians spend an average of 90% of their time inside, and our homes contain many substances that may be hazardous to our health. Indoor air pollutants range from minor irritants such as dust and animal dander, to major irritants such as molds and chemical vapours that may be emitted from building materials and furnishings. Traps dust, pollen, mites and other particles that can cause allergic reactions. The artificial enzyme catalyst helps break down S-S bonds in these allergens, transforming them into harmless proteins. For our premium products, we have replaced the Catchin filter with the new advanced Platinum Deodorizing Filter. Its element contains Platinum Catalyst, which increases deodorizing performance. And with the advanced nano-technology, odour-releasing particles are being absorbed much more efficiently at the molecular level. 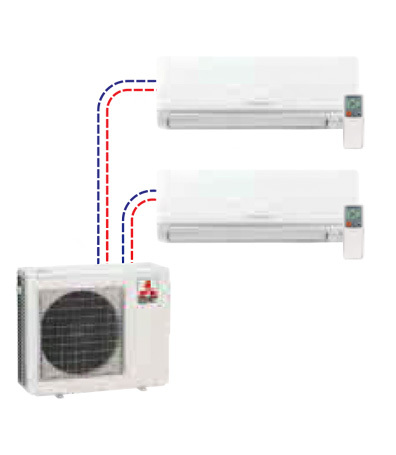 Your Mitsubishi Electric multi-split system could be the best solution for balancing the use of available space with available money. The innovative design of the system lets you mix and match several indoor units to fit the layout of the home. 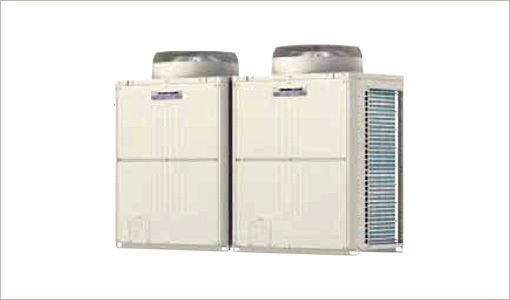 Plus, if you ever need to add additional units, they’re easy to install and add to your existing system. Multi-zone technology allows everyone to enjoy their own preferred level of comfort regardless of where they may be in the home. Due to the fact that each zone operates on its own, someone in the master bedroom, living room or even kitchen can set the temperature to what best suits them. Mr. Slim’s innovative design gives you the flexibility to mix and match several indoor units to adapt to the layout of your home. Whether it is a wall-mounted unit that circulates air movement or a ceiling concealed unit that fit perfectly with your décor, Mr. Slim has the perfect solution that matches the styles and needs for your home with our wide product range. With so many different system configurations, the possibilities are endless. 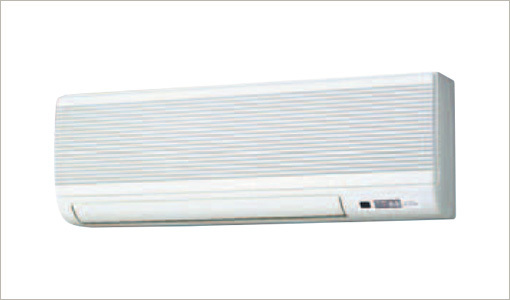 Conventional air conditioning units cannot provide cooling when the outdoor temperature is below 20°C (67°F). 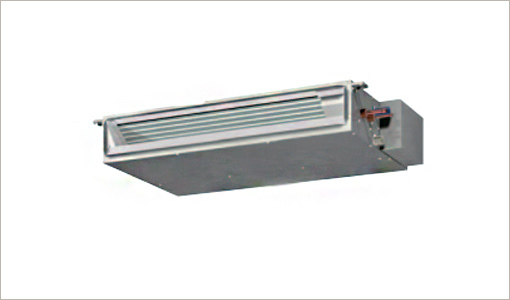 With Mr. Slim’s intelligent fan speed control, the system performs well in cooling mode even when the outdoor temperature is down to – 10°C (14°F). Mr. 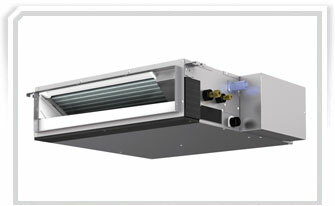 Slim outdoor units now have an extended heating range. 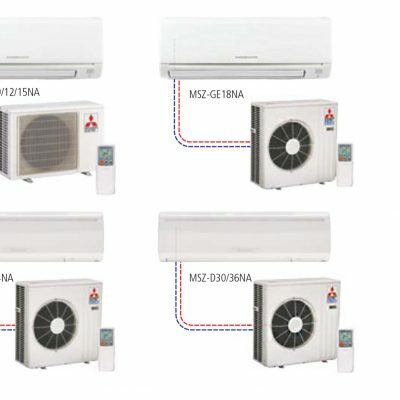 The MSZ-GE and SEZ models provide heating down to -4° F (-20° C). The MSZ-FE units go even further operating at temperature as low as -13° F (-25° C) continually providing heat on even the coldest of winter days. 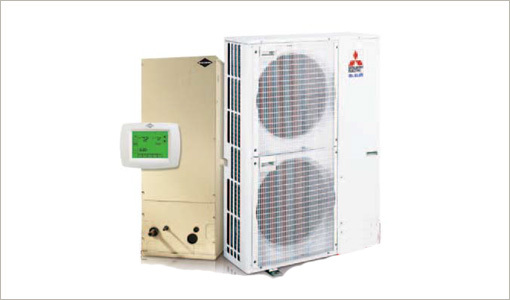 With a roster of 22 Energy Star certified units, Mitsubishi Electric Canada remains an industry leader in highly efficient, eco-friendly heating and air conditioning technology. Enjoy year-round comfort and energy savings, all while leaving behind a smaller carbon footprint. It’s just another way we’re making changes for the better. DEN: Just knowing how efficiently Mr. Slim operates can help give your home a more relaxed atmosphere. Where can Mr. Slim be used? Mr. 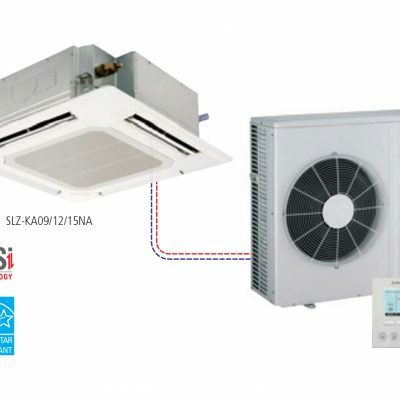 Slim is the perfect cooling or heat pump solution for century homes, cottages, schools, commercial facilities, churches, correctional facilities, nursing homes and more. If you don’t have ductwork, then Mr. Slim is the answer. 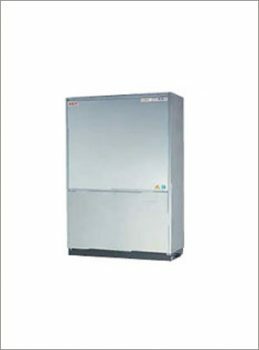 These systems are also the ideal solution for spaces which require extra cooling or heating such as computer rooms, restaurants, kitchens or other areas that are not adequately served by centralized systems. Also, unlike most centralized systems, Mr. 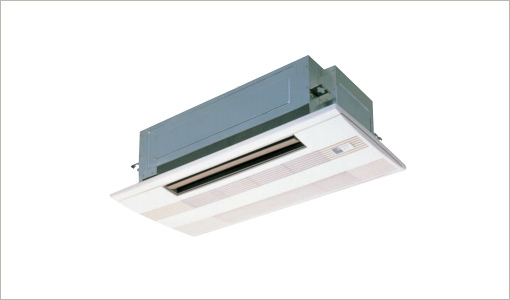 Slim indoor units condition the air to the specific requirements of each space they occupy resulting in superior zoned temperature control. 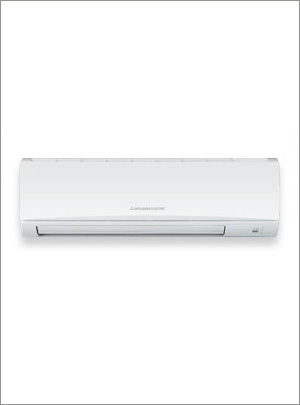 Mitsubishi Electric is the industry leader in ductless air comfort technology. Our innovations have defined cutting edge technology for years. 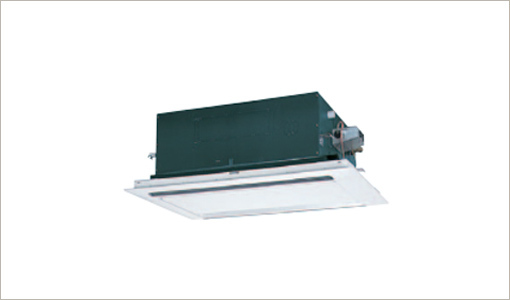 Compare, and you will see no one surpasses Mr. Slim’s performance for quiet, easy-to-use, energy efficient operation. 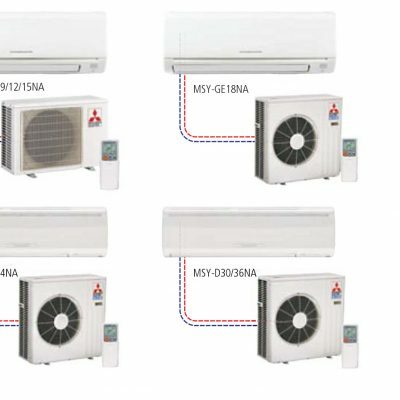 Also, since our ductless technology carries the Mitsubishi Electric name, you can be assured that every unit is built to last. The bottom line is that Mr. Slim delivers the ultimate control of comfort for your residential, office or commercial needs. 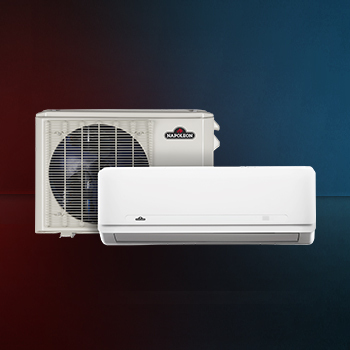 With a wide-range of models available in over thousands of combinations, the right unit awaits. Bedroom: Steady temperatures throughout the night let you sleep soundly in any weather. Living Room: Whether you’re working or relaxing, you’ll notice the difference that a constant temperature makes. The outdoor unit is so sleek and quiet, your neighbours won’t even know you’re heating or cooling your home.